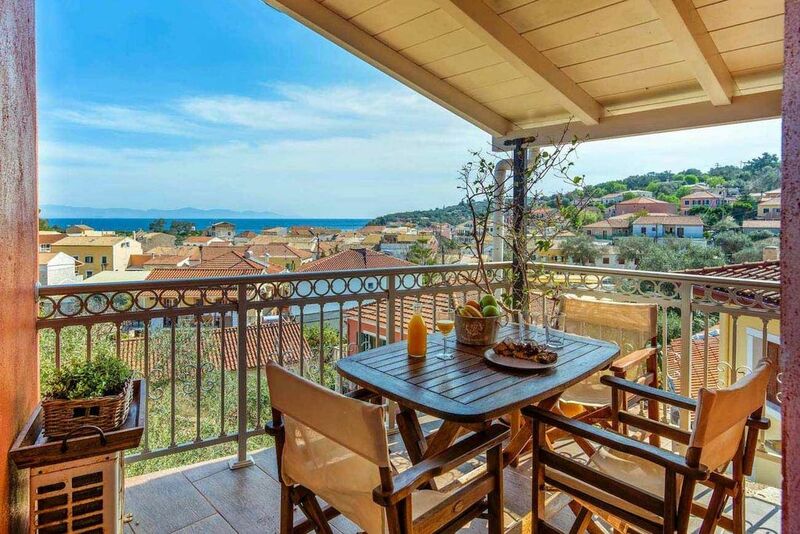 A tastefully curated three-bedroom apartment at a prime location in Gaios, the C&P Apartment provides a characteristic view of the scenic beauty of Paxos and offers the perfect hideaway for those who seek calm and privacy. The house itself offers an open plan fully equipped kitchen, living room and dining room at the entry level. On the upper level C&P offers three bedrooms, 2 with double beds one with en-suite bathroom and private balcony, 1 with single/truckle bed and a shared bathroom. It is fully air-conditioned with all bath amenities. There is a coffee machine, hair dryer, dishwasher, and iron-ironing board to let you manage all your daily needs on your own if you want to, along with refrigerator and so on, in the fully equipped kitchen.